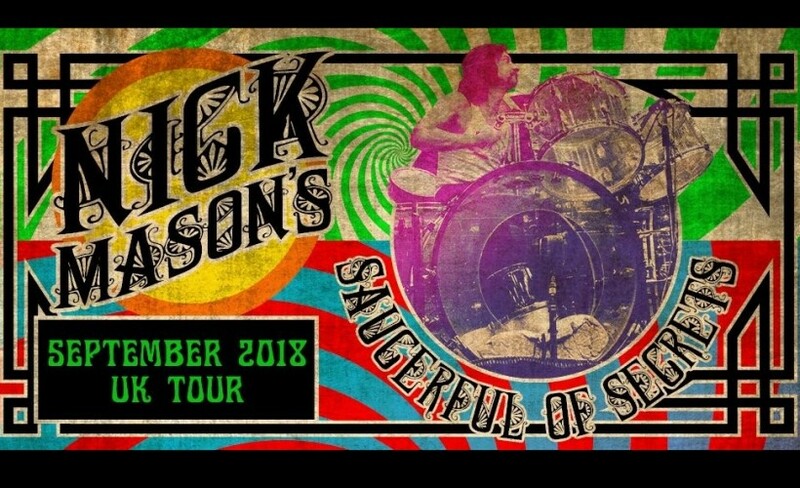 Clicking the button below will take you to the Nick Mason's Saucerful Of Secrets page on the Twickets website. It was really unforgettable to see and hear those songs from the beginning of Pink Floyd, performed by one original, who formed a group of brilliant musicians who also played that stuff so authentically! It has been something special to our ears and eyes, but also to the hearts and the souls of the audience. Superb performances from all involved. Gary Kemp a revelation, playing/singing what is about as far removed from 80's true romantics/Span Ball, as you could get . A must for any true Floyd fan showcasing all the often overlooked early classics. Amazing!!! If you are a fan of the Floyd's early work then this was for you & if you havn't heard the early stuff this is your only chance to hear it live. An amazing tribute to Sid & a timely reminder of how good early Pink Floyd is. Would have gone to London for the Roundhouse gigs next year as well but unfortunately sold out. Thursday night in Manchester- fantastic gig. Nick mason has got better with age. Gary Kemp on guitar was exceptional. Great venue. 10/10. "Two Hours Of Pink Floyd Perfection"
This was easily the best gig I’d been to for a long, long time. Being a fan of Pink Floyd in general, but particularly early Floyd, the anticipation levels were very high. I just couldn’t wait for it to start! And, almost 24 hours later, I’m still stunned by how perfect the night was. From the intro of distorted voices leading into a count down to a storming Interstellar Overdrive, through to the end of the encore two hours later, I was transfixed. The band was incredible, the sound was crystal clear and the lights framed every song in beautiful finishing touches. So much music I’ve loved for many years, delivered with power, expertise and passion. Lucifer Sam, Arnold Layne, The Nile Song, Vegetable Man - wtf, it just couldn’t have been better? Nick was very funny and the occasional banter from the band was beautifully pitched. Shouts out to all the right people and some very touching memories of Syd. Gary Kemp was a revelation, (yes, I was a bit anxious about this one! ), demonstrating his full range of raging, psychedelic guitar capabilities and contributing some excellent vocals - Green Is The Colour was particularly beautiful. I’ve just seen that more dates are being added for 2019. My aim is to see if I can get to every single one! Gigantic is the best place for Nick Mason's Saucerful of Secrets tickets.